With Spring comes rainy days galore and kids going stir crazy in the house. In between all your outdoor adventures, you can include some indoor trips as well while still connecting with nature. Since I covered the National Aquarium in Baltimore already, it’s only fair to tell you about your other option, Adventure Aquarium in Camden, NJ. We got an awesome price on a membership through Livingsocial that I simply could not pass up. Anytime I come across these deals, I share them on the Facebook page, so keep your eye out for more of them! Just like my post about the National Aquarium, I’ll provide a list of pros and cons to help you prepare for your trip. It’s a beautiful aquarium. It’s big. It’s clean. The exhibits are super interesting are top notch quality. They have a room for nursing moms. Stroller friendly. You do have to go up an elevator when you arrive as all the exhibits are upstairs, and there may be a line for that, but you are welcome to use your stroller throughout the aquarium. Beautiful view. The aquarium is located directly across the river from Philly, so there’s a nice sidewalk outside (with super awesome, super safe railing) that gives you a great view of the city. 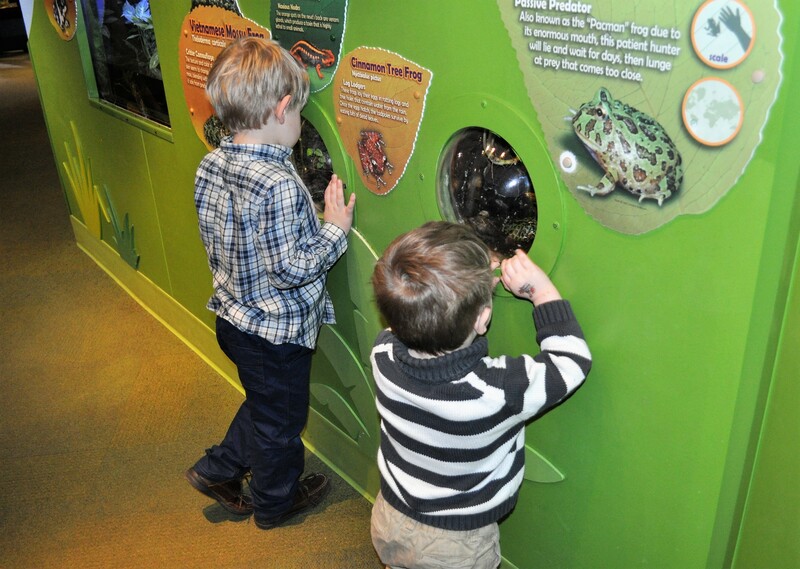 Tons of touch opportunities throughout the aquarium. For an additional cost you can also feed the stingrays. Children’s area. The entire top floor is dedicated to a children’s area with tanks to climb under, things to play with, touch tanks, and creatures at eye level. This area understandably gets a little crazy with kids running all over. It’s $$$. For a family of 4, you’re looking at $100 for tickets. A regular membership for two adults and two children costs $154, so it’s almost a no brainer to just do that. If you plan on going twice in a year, you will save a good chunk of money. It gets crowded. I don’t like crowds, but if you have more patience than me then it may not be a con for you. Camden can be scary. Depending on the way your GPS takes you, there’s some super sketchy parts of town. To me, it feels kind of desolate, like there’s not a lot of happiness there so I just get a bad feeling driving though. Parking. It costs $10 to park in the lot at the aquarium, but we’ve never not gotten a spot. I hate paying for parking, but in comparison to the National Aquarium’s parking situation, it is much better. They sort of participate in reciprocal memberships. Many times when I buy memberships to places, the reciprocity program helps defray the overall costs. 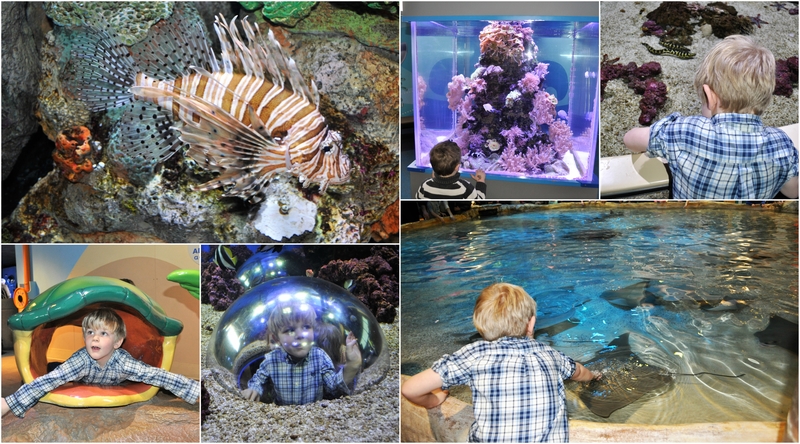 If I know I can get in to other places for free as well, it makes sense financially to buy the membership but Adventure Aquarium’s membership only gives you entry in to their facility and 50% off entry pricing at a handful other places across the country. Yay Dollywood! If you want to see all of the places go to this site. We had such a good time when we visited! We got to see just about everything and were also lucky enough to see the hippo and penguin feedings as well as an armadillo they had on special display. Since the last time we were there, they added a shark bridge. A narrow walkway that goes out over the shark tank! My boys were too scared to do it this time, but I’m hoping they will be willing to try next time. We ate lunch at the café before heading home and the food wasn’t anything special, but it was convenient. I rarely ever have zero complaints about an adventure, but I really can’t think of any for this one. It was a great experience!